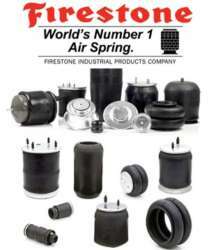 Air Spring Supply Company is the Sole Distributor of Firestone Air Springs in Southern Africa. We cover the full range of Replacement Air Springs for Truck, Bus and Trailer Air Suspensions as well as Air springs for Industrial Applications. We also stock replacement brands. Please give us a call for quick and friendly service!